A famous athlete collapses and dies during the game. A neighbor is found dead at home but never had any symptoms. In a moment, a person we knew or loved is gone. It’s known as sudden cardiac death, and it’s frightening. Why does it happen? Surprisingly, a blocked artery or a heart attack often is not the cause of sudden cardiac death, as most people believe. The problem is usually with the electrical impulses of the heart, and UCLA researchers are studying why it happens and how to prevent it. Electrical impulses in a normal heart keep the heart beating. When these impulses are interrupted, the heart can beat too fast, too slow or with an irregular pattern – all forms of arrhythmia. Arrhythmia contributes to approximately 200,000-300,000 sudden deaths per year – a higher incidence than stroke, lung cancer or breast cancer. Cardiologists can help people live with some forms of arrhythmia, but the abrupt and deadly arrhythmias keep researchers and physicians awake at night. “If we can correct the issues that cause arrhythmias and find new, less invasive ways to treat them, we will go a long way toward reducing the incidence of sudden cardiac death,” says Dr. Kalyanam Shivkumar, director of the UCLA Cardiac Arrhythmia Center as well as chief of the UCLA Interventional Cardiology Program and the Adult Cardiac Catheterization Laboratory. Scars on the heart may be caused by a past heart attack or simply by aging. Understanding the functional impact of these factors has revolutionized research in arrhythmias. The scars can cause short circuits that trigger life-threatening arrhythmias called ventricular tachycardia or ventricular fibrillation. Learn more about scarless healing after heart attack. Arrhythmia treatments usually consist of pharmacological approaches and implantable devices. Medications may be ineffective, and often have side effects. Implantable cardioverter-defibrillators (ICDs) will shock the heart if a life-threatening arrhythmia occurs. But the shock is extremely painful. In fact, research has shown that repeated shocks cause post-traumatic stress disorder (PTSD), long-term anxiety and additional damage to the heart. Defibrillators and pacemakers are expensive and are an inadequate solution. Because of these disadvantages, UCLA investigators are looking for an effective, one-time, single-cost cure. Electrical mapping: The UCLA Cardiac Arrhythmia Center team is creating novel ways to electrically map the heart and find the origin of arrhythmias. Epicardial ablation: UCLA has one of the largest programs for epicardial ablation. This technique enables doctors to map and ablate the outer wall and lining of the heart by introducing a needle underneath the breastbone. “This complex technique has been shown to improve outcomes in patients with recurrent ventricular arrhythmias,” says Dr. Jason Bradfield, a board-certified electrophysiologist and director of the UCLA Ventricular Tachycardia Program. Hybrid surgical intervention: The team also performs an innovative, minimally invasive cardiac surgical technique to open a small window in the chest to view the heart. The procedure allows the team to directly visualize and navigate the heart’s surface, significantly improving accuracy in applying ablation to stop the arrhythmia. UCLA scientists are also assessing the potential of novel energy sources to non-invasively homogenize scars. One option is the kind of radiation beams used to pinpoint cancer without affecting surrounding tissue. Some heart rhythm disorders are inherited. In these cases, the heart structure is normal, but a genetic mutation causes dangerous arrhythmias. To help patients with such inherited arrhythmias, UCLA has a dedicated program for at-risk patients and families. The most common form of an inherited arrhythmia is Long QT Syndrome. The condition leaves patients at risk for developing a rapid chaotic arrhythmia called Torsades de Pointes. This condition may lead to fainting spells or, in some patients, cardiac arrest and possibly sudden death. Long QT syndrome can be inherited, and members in multiple generations of a family can be affected. UCLA’s Inherited Cardiac Arrhythmia Program, led by Dr. Bradfield, provides comprehensive care and serves as a vital referral center for patients and families with these complex disorders in California and nationally. UCLA researchers have discovered that the nervous system also can play a powerful role in the development of arrhythmias – and their treatment. 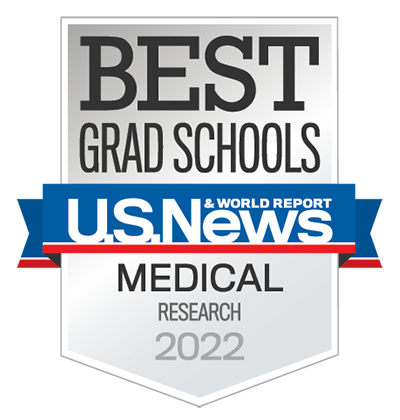 In fact, UCLA is one of the nation’s preeminent centers for neurocardiology research. Investigators at the UCLA Neurocardiology Research Center of Excellence, directed by Dr. Ardell, have shown that when the heart is injured, the characteristics of neurons that control the heart also change. The brain and the central nervous system sense when the heart is injured. The nervous system tries to correct for the injury. Over time, these adaptive changes become disease-causing themselves. Drs. Ajijola and Ardell and their teams created a map of both heart and nerve function to demonstrate that this happens – the first study of its kind. Dr. Marmar Vaseghi, a cardiac electrophysiologist and director of the Clinical and Translational Research Center, has partnered with UCLA surgeons and UCLA anesthesiologists to develop, research and offer a procedure called cardiac sympathectomy. Ablation on the surface of the heart has limitations in reaching substrates from scars that may lie within the heart muscle. In these cases, neuromodulation interventions represent a new avenue of therapies for treatment of ventricular arrhythmias. The procedure is used for patients who have not responded to medications or ablations. A surgeon removes the lower third to half of the stellate ganglia and cardiac ganglia in the chest – the cardiac sympathetic nerves that initiate and maintain ventricular arrhythmias. 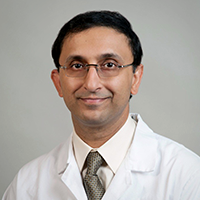 The approach, pioneered by Dr. Aman Mahajan, chair of the Department of Anesthesiology, reduces the burden of defibrillator shocks in patients with recurrent arrhythmias. As a result, patients often become arrhythmia-free. Ongoing neurocardiology research aims at developing other methods of stimulating or blocking nerves that affect the heart. UCLA teams are investigating neurotransmitter replacement drug therapy, nerve stimulation and other techniques. 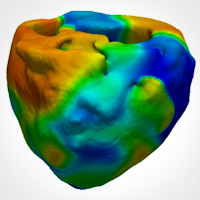 A team of investigators in the Cardiovascular Research Laboratory are combining mathematical biology and computer simulation (Drs. Zhilin Qu and Alan Garfinkel) with experimental arrhythmia biology (Drs. James Weiss, Riccardo Olcese, Thao Nguyen and Hryar Karagueuzian) to unravel the mechanisms underlying the electrical instability in the heart that causes sudden cardiac death from ventricular fibrillation and complications such as strokes from atrial fibrillation. They are exploring novel ways to modify the electrical properties of the heart using drugs and gene therapy approaches to prevent the life-threatening complications of these arrhythmias.